Jen Ruggles is passionate about her home. Jen has an acute ability to bring people together. From food and energy to healthcare, transportation and a tough stance on crime, Jen listens to the needs of Puna residents. From monetary donations to giving your time, you can make a difference in our upcoming election. Get Involved! I’d like to announce that I’ve retained an attorney to consult with Corporation Counsel on the possibility that I may be incurring criminal liability having to do with war crimes. Based on a email sent to all legislators in June, it has been recently brought to my attention that I may be incurring criminal liability for legislating. I would like to be clear that this action on my part should not be construed as a publicity stunt but rather acting upon the advice of my attorney given the awareness I have gained regarding alleged war crimes. The email was from the Hawaiian Kingdom acting Council of Regency, and it informed us of several legal actions. Included was a memorandum from the United Nations Independent Expert, Office of the High Commissioner for Human Rights, Dr. Alfred deZayas. In this letter Dr. deZayas states that he has “come to understand that the lawful political status of the Hawaiian Islands is that of a sovereign nation-state in continuity; but a nation-state that is under a strange form of occupation by the United States resulting from an illegal military occupation and a fraudulent annexation.” (Bold added). I have been researching to verify the claims made that the Hawaiian Kingdom still legally exists and is occupied, and in my pursuit to understand what this meant, it became a question to me that if in my position as an elected official, I could also be liable for violating my oath and breaking treaties by creating legislation under United States law, rather than Hawaiian Kingdom law, like the laws of occupation appear to outline. This is the question I have sought legal counsel to represent me in asking: Am I criminally liable for legislating United States Law in a country understood to be under occupation? I sent my attorney’s letter to Corporation Counsel on August 21st. On August 22nd Corporation Counsel responded with an unacceptable opinion that did not dispute Hawaiiʻs illegal occupation or the commission of war crimes against protected persons. On August 28th my attorney and I sent response letter and have yet to receive a proper legal opinion. 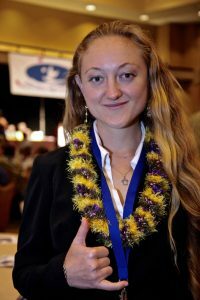 Because Corporation Counsel did not dispute the Hawaiiʻs illegal occupation I have now been put in the position of being a whistle-blower. As a council member, I am a civil servant and my actions dictated by my oath of office, the supremacy clause, and U.S. ratified treaties the Hague and Geneva Conventions that specify I must ensure respect for the conventions in all circumstances and advocate for the rights of protected persons. I have held two Town Hall meetings since sending this letter to Corporation Counsel which are available for you to watch here. On August 21st I reminded my colleagues that we all took oaths swearing to support and defend the U.S. Constitution, and the constitution states that treaties are the supreme law of the land. Until our county attorney can assure me, through facts and applicable law that I am not violating my oath of office, and not incurring criminal liability, I must refrain from enacting any further legislation and will continue to advocate for the rights of protected persons by putting every agent of the U.S. on notice. I will be eagerly awaiting Mr. Kamelamela’s response. I encourage you to read the letters sent to Corporation Counsel yourself which are linked above. In the meanwhile, to my constituents, you can be assured that I will continue serve as a liaison between the government departments to ensure your various complaints are addressed and continue to be available to you. As always you are welcome to contact my office at 808-961-8263. You can stay posted on all the latest updates in the updates tab and by following me on Facebook.